This week in WWE it has been made official that the company has parted ways with Sin Cara (also known as Místico). 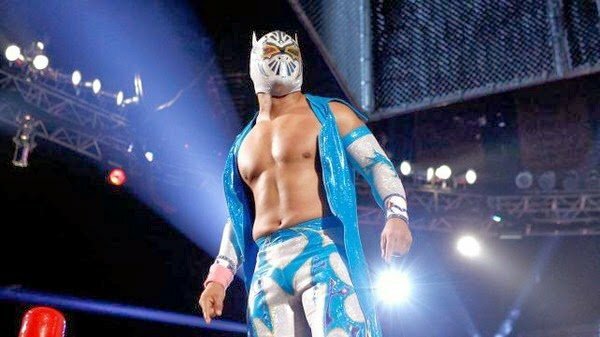 For those who are unaware of this, Sin Cara had stopped appearing on WWE programming a number of months back and his gimmick was taken up by another wrestler called Hunico. While Hunico was playing him on television the original Sin Cara had been sending tweets from Mexico to let fans know what he was getting up to. After being hugely successful in Mexico, Sin Cara was signed to WWE in 2011 and had the unfortunate title of being Triple H’s first signing which meant that he had the pressure of Triple H’s reputation riding on his shoulders. He was allowed to bypass the developmental system that WWE had in place which meant he had no time to adjust to the style of professional wrestling displayed in America. This naturally was going to be a disaster and something that WWE officials (especially Triple H) would regret. Sin Cara’s debut held huge expectations from both the crowd and the backstage officials however, due to his lack of experience in the American pro wrestling scene his matches came off as very underwhelming as he botched many spots and generally couldn’t replicate the greatness that made him a mega star in Mexico. WWE had continued to push the wrestler as a singles superstar throughout 2011 all the way to mid 2012 however his stock as a wrestler just continued to decrease, WWE tried to salvage what they had done to his reputation by teaming him up with another luchador in the form of Rey Mysterio but, this team wasn’t able to sustain itself due to Rey Mysterio’s well documented injury problems. Throughout 2013 Sin Cara had an underwhelming amount of TV time, eventually being reduced to the occasional backstage segment but by this point it was fairly obvious that WWE had realised the error in judgement with his handling. Earlier this year in February they entered him into a mini-feud with Alberto Del Rio in which he looked a lot better as a wrestler however the tattoo on his right arm had indicated that it wasn’t the same Sin Cara; by this point the original Sin Cara had already left for Mexico and the surfacing rumours had suggested that WWE Were waiting out the remainder of his contract. Sin Cara has fallen victim to the classic WWE system which is to take a talented wrestler and use them completely wrong, what can be said of this is that Sin Cara will most likely never return to the WWE or America to wrestle and WWE won’t be in such a hurry to take people past the developmental system.